On line ticket sales are no longer available. Please contact Sandra O'Connell at 248-858-7647 or use the link above to get on the wait list. 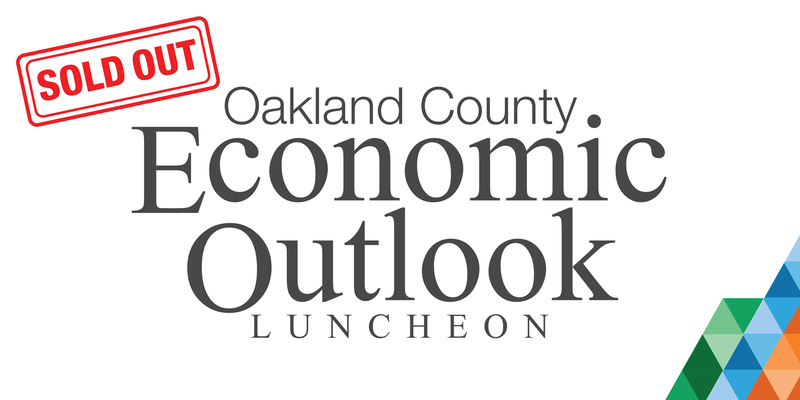 Oakland County Executive L. Brooks Patterson’s Economic Outlook Luncheon is a must-attend event for business, education and community leaders. You will be the first to hear respected University of Michigan economists Dr. Gabriel Ehrlich and Donald Grimes present their three-year forecast on the county’s economic future and receive a copy of the Economic Outlook Summary report. The event sells out quickly each year. Reserve your seat or table today. Advance registration closes April 19, 2019, or when sold out. Oakland County is the economic center for the state of Michigan. We provide leading-edge services and programs that help the county continue to make the transition from a manufacturing-based economy to a knowledge-based economy. These initiatives spearhead a positive business environment and maintain job growth and a high quality of life for our citizens.